After writing about Willy Adames last week, he gets the call this week. Although he is likely only up for a short time, he starts off with a bang, a Home Run against Chris Sale. Of course, he strikes out in each of his other three plate appearances. Additionally, he struck out three more times in his second start. Such is the excitement and heartaches of prospects in fantasy baseball. In my last regular piece of this season, we are going to be looking at a couple hitters in the Pacific Coast League. This is the largest of the leagues in the Minors made up of sixteen teams split up into four divisions. This league is filled with journeymen and many tear it up in AAA and never quite make it stick in the Majors. This year is no different as most of the top performers are players that have logged many at-bats in the majors. There are two players that are 25 years old or less that have performed well and are worth keeping an eye on. Slater is not the hottest of prospects in the Giants system. At best, he is the 5th best OF prospect in the organization and the 3rd best OF on the River Cats (Shaw and Dugger). However, he is one of the top performers in the league in 2018. He is currently slashing .385/.465/.661 with an OPS of 1.126. The only one better in the league is JD Davis who was just recalled to Houston. Slater is not really a prospect anymore as he is two at-bats from passing the rookie threshold after his 11 ABs earlier this season. Entering his 5th season of pro ball, he moved quickly through the system despite no plus tools until injuries derailed him in 2017. In fact, he was in San Francisco and hitting well when he suffered a groin injury that effectively shut him down for the season. Slater is athletic and has average or slightly above average tools across the board. No one tool stands out which is why he hasn’t been on the radar of most fantasy owners, but he can contribute in every area. He has hit for average and got on base at every level. He has a .315 career minor league average and .379 career OBP. He broke out in 2016 with 20 2Bs, 1 3B, 18 HRs and 8 SBs. He has shown plate discipline over the last two season with a 12.7% BB rate and 21.7% K rate. Slater is not an exceptional fielder, but he is versatile enough to play all three OF positions and profiles as a fourth OF. Mac Williamson will be back shortly to take over LF but many Giants fans that I’ve spoken to would rather give Slater the chance to play CF every day rather than running out the disaster that has been Austin Jackson. Unfortunately, Jackson is going to get paid through 2019 so San Francisco seems likely to keep him out there for now. With the National League West in a down year, the Giants have a chance to compete this season and Slater could provide a spark down the stretch. His fantasy outlook is a nice depth piece. If given a chance to play nearly every day, he can fill in the stat sheet and be valuable in most Roto leagues. He will probably be a better real-life player than fantasy contributor, however, he should be kept on the radar in deep leagues more than dynasty leagues. Mercado was drafted as an infielder out of High School in 2013 and he was a disaster for his first four seasons of pro ball. He couldn’t hit or get on base and although he was stealing bases (121 during that four-year span), his speed tool would be almost worthless if his slash line didn’t improve. The organization transitioned him to the outfield toward the end of 2016 and this somehow changed his entire approach and confidence to the game. He had a huge breakout in 2017 at AA when he hit .287 and improved his OBP to .341. He had 37 extra-base hits including 13 HRs which is more than his first four years combined. The power was surprising and may not translate in the Majors, but his extreme line drive approach does bode well for doubles and triples with enough power to potentially get 8-10 HRs per year. His calling card is speed and if he continues to get on base, should easily get 30+ per year if playing every day. Although not a plus fielder, his speed and glove projects well enough for an everyday CF. He has improved on these numbers in AAA this season slashing .321/.379/.468 with 5 HRs and 10 SBs. His ceiling may be limited due to his plate discipline. He doesn’t draw walks and his K rate was over 21% in his breakout season of 2017. He has improved on this with a 13.2% K rate in 174 plate appearance in 2018. He struggles with breaking pitches from top talent and will need to figure that out or he will be doomed to a 4th outfielder. This leads to the other issue: the path to playing time. There are five outfielders already on the 25 Man roster in St. Louis and none will lose playing time to Mercado. On the plus side, this should allow Oscar to spend all of 2018 in AAA working on his plate discipline with a likely call-up in 2019. He may be better off if he gets traded due to the logjam in St. Louis. He will either by a “Billy Hamilton” type one tool guy or if he can truly develop his hit tool, he could be a true threat at the top of a batting order. If so, his price is going to go through the roof in dynasty leagues during the off-season so right now is the time to buy. 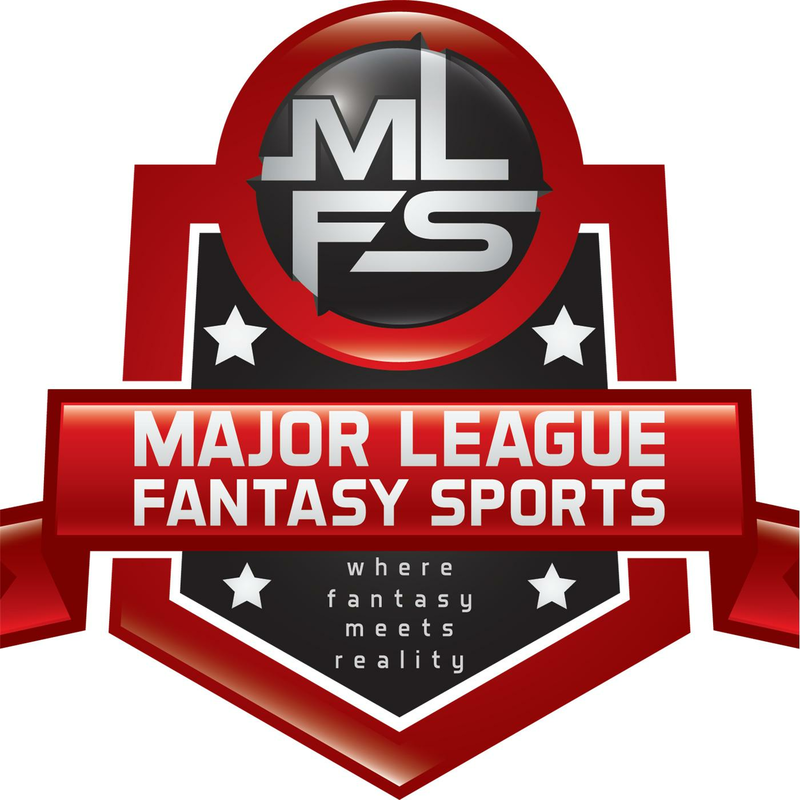 I’ll be back in a few weeks as part of the MLB draft coverage for Major League Fantasy Sports. Thanks for reading this season. Major League Fantasy Baseball Radio Show: Join host Brian Roach, Jr, and Cole Freel live on Sunday May 20th, 2018 from 8-9:30pm EST for episode #121 of Major League Fantasy Baseball Radio. We are a live broadcast that will take callers at 323-870-4395. Press 1 to speak with the host. We will discuss the latest information in the world of fantasy baseball. Our guest this week is Andy Macuga former Head Coach of Borrego Springs High School in San Diego. Andy is also a veteran owner in Major League Fantasy Sports leagues covering baseball and football.